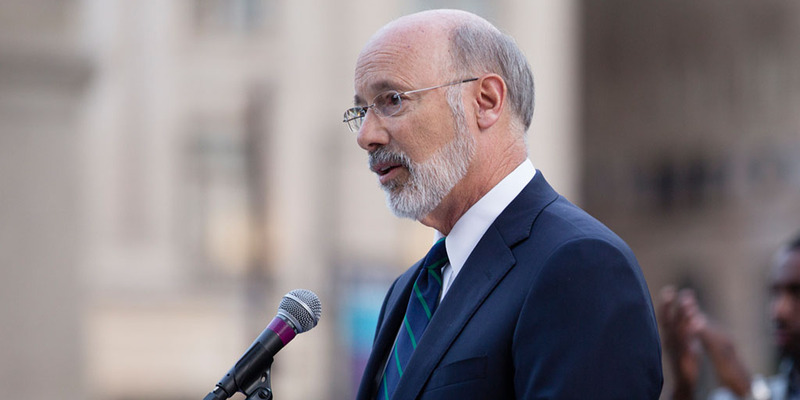 Harrisburg, PA – Today, Governor Tom Wolf announced that the city of Pittsburgh’s status as a distressed municipality under Act 47 is terminated. Pittsburgh is the second city and 14th municipality to exit the program. In a ceremony at the City-County Building, Governor Wolf joined Pittsburgh Mayor William Peduto, city officials, local legislators, economic development officials, and Department of Community and Economic Development (DCED) Secretary Davin, who issued a formal determination letter finding that termination of the city’s distressed status was appropriate under Section 255.1 of Act 47. Secretary Davin made the decision after a thorough review of the city’s audits, financial data, and the record from a public hearing held on December 20, 2017. Pittsburgh has operated under Act 47 status for 14 years, entering on December 29, 2003. In the last few weeks, Secretary Davin reviewed documentation and evidence that was presented during the December 20 public hearing. The findings indicated that, bolstered by careful budget governance and a recent surge in the city’s technology and medical sectors, the city has stabilized its finances, and now operates with healthy surpluses that are projected to continue. It also reported the city’s debt service is reasonable and manageable when compared with the overall budget, and that city administrators have developed a strategy for fiscal management that pays for the necessary city services such public safety and public works, funds employee pensions plans, invests in capital improvements, and controls costs. Since 2015, five municipalities, including Pittsburgh, have recovered from distressed status. Others include Altoona, Blair County, Plymouth, Luzerne County; Nanticoke, Luzerne County; and Clairton, Allegheny County. The Municipalities Financial Recovery Act, Act 47 of 1987, was enacted to provide a broad-based program of fiscal management oversight, technical assistance, planning and financial aid to municipalities experiencing severe fiscal distress. For more information on Act 47, visit the Governor’s Center for Local Government Services at the Department of Community and Economic Development.